Bravo Zulu to John Baker. He fronted the recent Alaskan reunion cruise for our USS Decatur Association. He continuously stepped up for us and went over and above many times. Every time we had a problem, John responded to it and rectified all situations. He lined up all the “puzzle pieces” and brought them all to convergence, creating a very positive experience for all my sailors. John is personable and charismatic. He is a perfect fit to interact with Navy groups. Pelle Fredriksson, Captain of the Norwegian Jewel, was made an honorary association member. He spent a lot of time with us answering our questions. That event was a great experience for all my sailors and should be standard operating procedure for all Navy reunion cruises. I’ll proactively post this message to other reunion forums and hope it will generate business for Holiday Cruises & Tours, and that groups will “by-name” request John Baker as their lead. Thanks, Tony West, USS Decatur Association Contact John Baker of Holiday Cruises and Tours at john@hcttravel.com. That’s the title song on a CD by the Malone Family Choir, a Family Reunion. The remainder of the CD is energetic, lively gospel music your reunion will also enjoy. Listen to a few bars! $22 for CD and priority shipping; $17 for audio tape. Call Karla @414-263-4567 to order. Click here to listen to a clip! Reunion invites, postcards, save the dates! Reunions magazine now sells reunion postcards on Etsy! Order a custom-made, digital file, and print out however many you want to send out. We can customize your reunion name, date, email, website, and anything else you’d like on the back of the card. Personalization (adding your own reunion photos to the card) is also a possibility, but is subject to an extra charge. 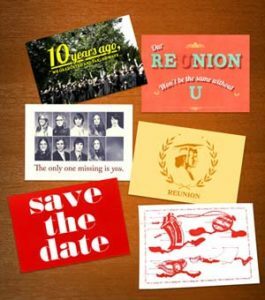 Get your invitees to save the date in style with postcards from Reunions magazine. Myevent.com hosts reunion web sites which includes a feature for your members to charge their registrations and add donations for your reunion treasury. It is both a payment and fundraising tool! Myevent.com allows anyone, even without technical skills, to create a reunion website. Fill in forms online and the information creates beautiful design templates. Get 20% off your MyEvent website using the code “ReunionsMagazine20” when you order. 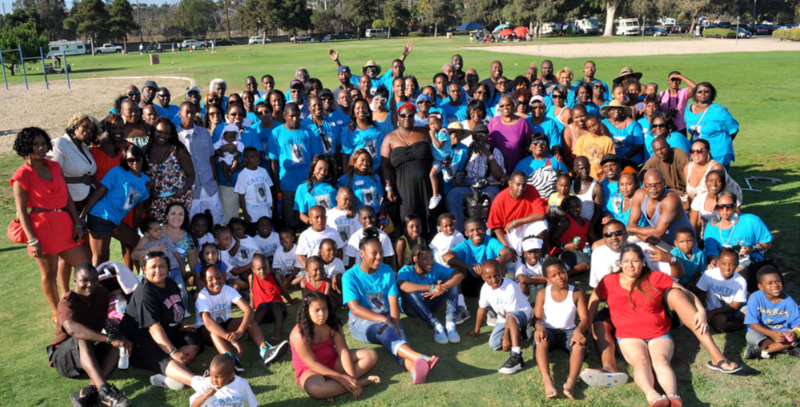 Reunion Resources is divided into sections. Reunion Resources is our travel directory of reunion friendly places which includes destinations (convention, visitor and tourism bureaus) and locations (hotels, resorts, ranches, condominiums, bed and breakfasts, inns, dormitories, camps). Resources are listed alphabetically by state and city. Other sections list books and publishing, cruises, and mementos, preserving reunions, and travel agents. We’re always adding sections. Most Resources include e-mail and web page addresses. Start here and in just one click, link directly to the listing’s web page – a great way to visit, get more details and even place orders. 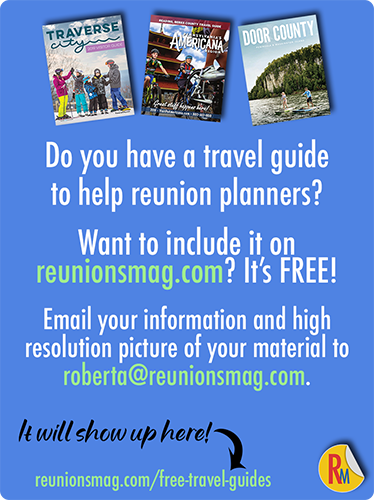 We encourage you to tell those you contact that you learned about them from Reunions magazine. And, if at any time, you find any of this info is inaccurate or web/e-mail links do not work, please notify us immediately at editor@reunionsmag.com, or call 414-263-4567. And, by all means, feel free to comment and/or suggest changes and additions you’d like to see in this section. Reunions magazine will not be held liable for information presented as facts in these ads.